Central Indiana Community Foundation (CICF) has restructured its staff of 45 full-time employees to better execute its new mission—to mobilize people, ideas and investment to make this a community where everyone has equitable opportunity to reach their full potential, no matter place, race or identity. The transitions also set the stage for the foundation’s new 5-year strategic plan, which will be fully announced in April 2019. 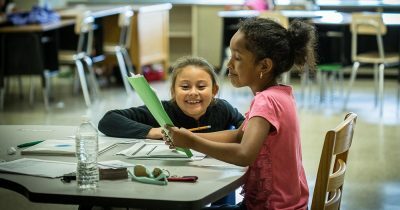 The restructure enables CICF to more effectively create change for Central Indiana in partnership with donors and local organizations. CICF has combined the philanthropic services and community investment departments to form the new department of community leadership and effective philanthropy. This move puts staff knowledgeable about the opportunities and challenges in the community alongside those dedicated to serving donors and helping them make meaningful philanthropic decisions. The department is charged with creating social impact by leading on critical community issues; growing, leveraging and advising philanthropic assets; and making wise charitable grants. The new team is led by vice president, Tamara Winfrey-Harris. Winfrey-Harris has more than 15 years in not-for-profit management and a proven track record of building strong, efficient and innovative teams. 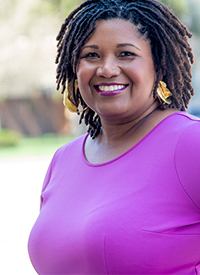 She is a nationally-known writer, thought leader and speaker on race, gender and social justice. She joined CICF in 2016 as vice president of marketing and communications. Winfrey-Harris will lead a team of 15, including two directors of community leadership, Alicia Collins and Andrew Black. Collins most recently served as the foundation’s director of community collaborations and has been with CICF since 2007. In that time, she has influenced the foundation’s grant-making related to crime prevention, public safety, substance abuse, mental health, domestic violence and community collaborations. 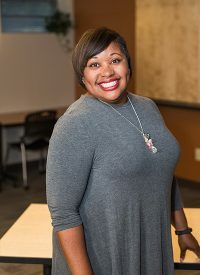 Collins has been deeply involved in the Indianapolis community for more than 18 years, including positions with Annie E. Casey Foundation and Greater Indianapolis Progress Committee, among others. Black, who is newly promoted to a director position, has worked for CICF since 2010, most recently as a senior community investment officer. In his role, Black led the foundation’s strategic efforts in education and workforce development, among other special focus areas. Previous to his time at the foundation, he specialized in Legislative Affairs at the U.S. House of Representatives. Details about the effective philanthropy team restructuring will be announced in early 2019. The team will be led by an as-yet-unnamed director and will continue to support donors in achieving their philanthropic goals. Additionally, the team will offer more comprehensive donor services, integration with community leadership, place-based support in Hamilton County and more opportunities for donors to engage in CICF’s strategic initiatives. 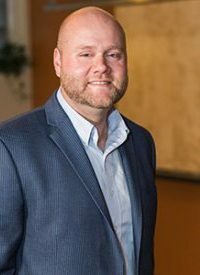 Rob MacPherson is transitioning into the role of vice president of development and strategy to support the foundation’s strategic plan as well as to continue to develop new relationships with donors and professional advisors. MacPherson’s role previously was vice president of development and philanthropic services and has worked at CICF since 2003. Sarah Cowart is now the director of marketing and communications, leading the foundation’s internal and external communications strategy. She has been with CICF since 2014, most recently as communications manager. Ben Snyder is now the marketing and communications manager for CICF, a promotion from marketing manager. Snyder joined the foundation in 2015. “It is with great deliberation and confidence that we are making these changes. I strongly believe these decisions will help us better serve the community, our partners and our donors,” said Payne.